The JetPack is Finally Here! There's still time! Book a JetPack Session Now! FINALLY! We promised you last season, now Nashville FlyBoard delivers with the JetPack by ZR®! We apologize for the delay, but hey, better late than never – and, there’s still plenty of time to get out and try the JetPack, FlyBoard & Hoverboard at Nashville FlyBoard for the 2016 season! We’ll be open through September and into October, as long as the weather permits! We’ll also be offering wetsuits for the colder temperatures this season. Give us call to try the JetPack, or book the “Dynamic Duo” combo package to experience both the FlyBoard® & JetPack online! The JetPack is very different from the FlyBoard®, but just as easy, and tons of fun! You experience the sensation of flight like nothing else when your soaring over the water like a real super hero! Words can’t describe the feeling, it’s something you have to try, and once you finally do, you’ll never get enough! 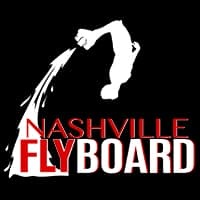 Nashville Flyboard has it all! Experience new heights on the FlyBoard®, adrenaline & speed on the Hoverboard, and a mix of all that on the JetPack! Nashville FlyBoard is the place to go if you’re an extreme sports enthusiast, or an adventure seeker looking for something new. As always, we provide all the latest in Zapata Racing Technology, and offer top of the line equipment for your safety. Book Your HydroFlight Experience at Nashville FlyBoard Here! Or call (615) 580-9030 for group rates or same day bookings.